Welcome to Peak Sports Travel! We are dedicated to provide the best service, prices and technology platform to ensure we take all the stress out of the travel planning process to any sporting event. Our focus is to provide a “One Stop Shop” for every team’s travel needs! Coaches and team leaders will organize their team’s trip through our highly sophisticated system and we will provide a customized website for each specific group. Tournament organizers can partner with Peak Sports Travel to provide an exceptional travel experience for all teams coming out to their event. Peak Sports Travel is a one-stop shop for every team’s travel needs. Our staff will work with coaches/team leaders to organize their team’s trip through our highly sophisticated system and we will provide a customized website for each specific group. The organizer will also have the ability to send web links to their players so getting the proper information, signing up, and making payments can all be done in one convenient place. Peak Sports Travel will set up a team event page for each of the tournaments your club/organization is attending. This will provide all the information your players/family members need about the tournament and travel arrangements to the event. Also, players/family members will have the ability to book travel arrangements directly on the team event page. Why not get out and have some fun when you’re done with your games? Many of these tournaments are in areas that offer many exciting things to do and see. You’ll also be able to check out opportunities for team building activities in the area. Want to find good restaurants nearby? We’ll have all that information for you as well. Reach out to us today to learn more! Peak Sports Travel can negotiate the best possible rates and room blocks for your team’s trip to the next tournament and provide you with a team event page for your players/family members to book their accommodations. We’ll set up all of your lodging so you don’t have to. You can focus on leading your team to victory, while we focus on finding the perfect accommodations for your team and their families. Peak Sports Travel can negotiate the best possibleIt’s a daunting task to research group flights, keep track of deadline/payment schedules, provide names to airlines, and keep track of tickets. Let our staff take this weight off your shoulders and do all the hard work for you. Through years of experience, we know all the ins and outs to make this process simple and easy for you as coaches/team leaders. Whether you are looking for a charter bus, 12/15 pax vans, mini-vans, or just your basic car rental, we can provide you with the best prices and organize this part of the trip for your team and family members. In addition, you can add ground transportation to your team event page so that players/family members to book their own transportation directly. Peak Sports Travel is dedicated to helping coaches, team leaders, players, and family members with all travel arrangements, providing them with a platform to make the process simple and easy. Peak Sports Travel is not just your normal travel agency. We are focused on providing the best service, knowledge and technology platform that focuses on team sport travelers needs. We understand planning travel aspects for a group can be difficult but if you put your trust in us, we’ll make the process simple and easy for coaches, players and family members. Here at Peak Sports Travel, we understand that the planning process for sporting teams can be a challenge. So why not let us carry the load! Armed with the knowledge about your goals, along with our personal, real-world experience planning team sports travel, Peak Sports Travel will guide you in planning the best team trip you’ve ever experienced. Sound good? Give us a try! We understand the struggles that can come with ensuring that all your team travel needs are adequately addressed. So for your next team sports event, why not save yourself from the headaches that come with planning all the details? There are a number of incredible benefits that come with using an agency. First things first, when you partner with Peak Sports Travel, it makes your job so much easier. There’s no need for you to spend your time ensuring that your team members and their families have all the necessary travel information. We’ll take care of that for you. You don’t have to put together all the need-to-know details about the destination or event (including activities or restaurants in the area or directions to the event itself). Our team will handle that, too. All you need to do is to let us the know the details of your event. Once you’ve let us know about the teams that will be participating, the event location, the number of anticipated guests, and a little other information, we’ll get to work squaring away lodging and transportation deals, putting together an activities guide, and setting up a team event page. Your team event page will provide your players and their family members with a centralized location where they can book travel, find out about the destination, and much more. At that point, all you’ll have to do is send out a link to that page. And just like that, all the heavy lifting of taking care of your team’s travel needs is done. With Peak Sports Travel as your team sports travel agency, you’ll be able to save a lot of time – time that would no doubt be better used for more important things, like growing the team you’ve dedicated so much to. As an added bonus, there’s no extra cost when you use our services. So you won’t be forced to decide whether you’d rather spend time or money getting your event organized. Our process is really quite simple. We focus on providing the best customer service, the most competitive prices, and sophisticated technology platforms. You deserve to have a one-stop-shop that makes it easy for you to put together an amazing travel experience. Having provided travel services to lacrosse, baseball, and soccer teams, you can rest assured that we’ll take the time to learn about the nuances of your event. Every tournament is different and each one requires personalized attention. So, if there are certain aspects of your event that require specialized focus or if there are members of your team that have special needs, that’s not a problem at all. Just let us know and we’ll make sure that everything is taken care of exactly the way you need and want it to be. Get your next team event started the easy way with the Peak Sports Travel team. We’re here to make sure that everything goes off without a hitch and that all your coaches, players, and family members have an incredible travel experience! 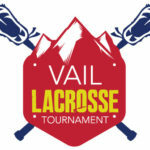 The Vail Lacrosse Shootout has been welcoming participants to the Vail Valley for over 40 years. For the past decade we have had the privilege to work with Erik Tilley to provide exceptional service to our teams. 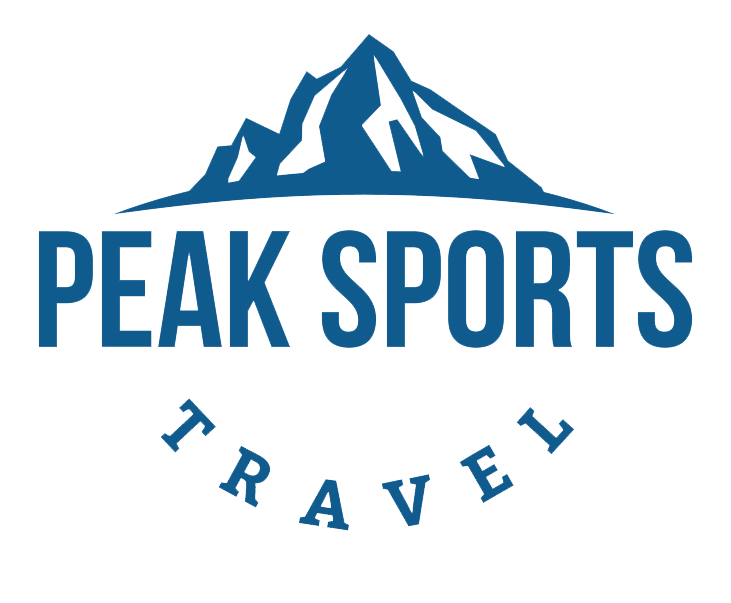 We look forward to working with Peak Sports Travel as our travel sponsor for 2017! The Vail Lacrosse Tournament has been in operation for 22 years and has partnered with Peak Sports Travel. Through our partnership; teams, coaches, and parents have had the pleasure of working with Erik Tilley to book all their travel needs. Erik has helped countless teams and families find the best hotel, condominium, or house rental for the duration of our tournament. In addition to locking in the best location and rates for lodging, Erik is also your stop for adventure needs! Having lived in Vail, Erik knows the ins and outs to great deals on white water rafting, mountain biking, fly fishing, zip lining, group restaurant reservations, and much more. VLT’s survey results have boasted rave reviews about Peak Sports Travel each year. VLT looks forward to working with Erik and Peak Sports Travel each year! Knowing our teams are in good hands is a big relief and Vail Lacrosse Tournament is grateful for our continued partnership. At 8,150 feet above sea level, the Vail Lacrosse Tournament is the only national youth lacrosse tournament in Vail, CO. The tournament includes Under -11, Under-13, Under-15 and High School divisions. The tournament has expanded to include a girls tournament, which is growing in popularity. Teams travel from all over the US and Canada to compete in this elite tournament and enjoy the amenities of Vail, Colorado. In fact of the teams travel from outside of Colorado. The tournament is all about the kids. Our goal is for the players to play competitive, fun lacrosse and to continue the tradition of playing lacrosse in Vail. Do you love Colorado? How many people will your team need lodging for? Give us any additional information you think we may need in order to help you!